On the Home tab, click Export Backup. In the Home view. 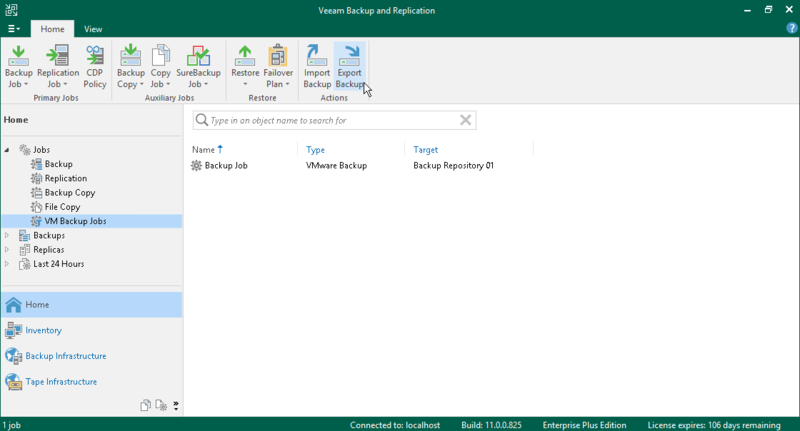 under the Backups > Disks node, select a VM you want to transform into a full backup file and click Export backup.